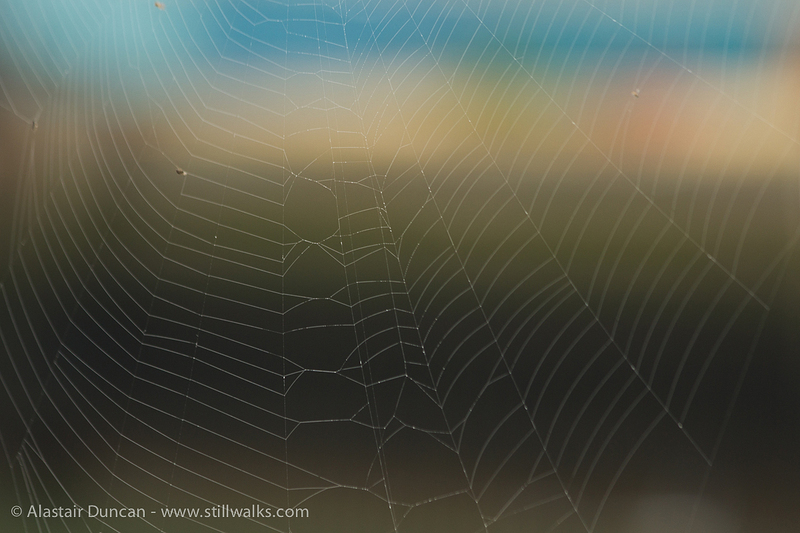 Sitting on the edge of the pier wall in Swansea docks, eating my lunch and enjoying the amazingly still day during the Mission Gallery Walk and Draw I went on last week, this spider web caught my eye. There being hardly a breath of wind allowed me the opportunity to get a photo of it with the blurred colours of dockland buildings in the background. I really like those blurred colours – they make me think of this as a piece of abstract painting, perhaps one that has been sitting around in the attic for a few years. Considering the number of paintings and pictures we have in our attic, that vision of this image doesn’t take much imagination. What’s in your attic? Posted in art, Photography, Walks and tagged abstract, art, attic, blur, colours, docks, Mission Gallery, paintings, photography, pictures, spider web, Swansea, walks.